What makes Probiotic foods different from Traditional Fermented Foods? 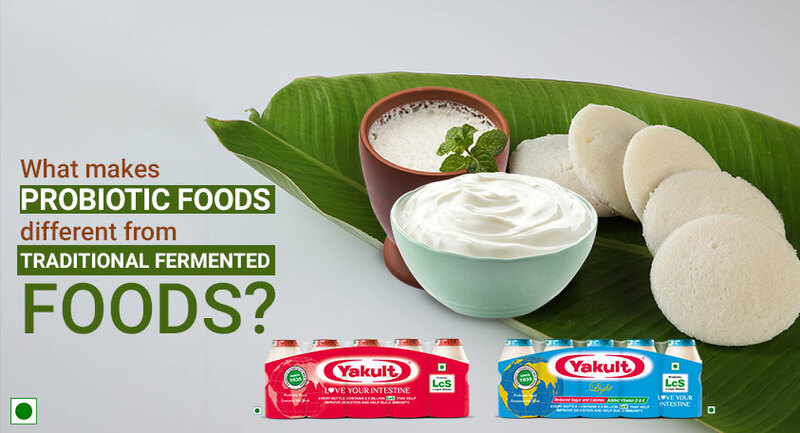 Ever since probiotics were launched in India, people have confused them with our regular curd and lassi. Many feel that both contain lactic acid bacteria so what’s the difference. Others say that probiotic is just another ingredient and a fancy name that has been given to some select dairy foods so why the fuss. It was only recently that people have finally begun to see the difference and it is now that consumers are looking for the word PROBIOTIC on dairy foods feeling excited about the benefit they bring with them. So, what really is the difference? Our traditional fermented foods are an inherent part of our diet because of the boost they bring to our nutrition. This is especially true for dairy foods that are laden with calcium, proteins and vitamins – which are also very useful for those who are lactose intolerant. Every house has that bowl of curd on the lunch table because it brings with it the taste of India. But do they classify as true Probiotics? Unfortunately not!! The curd is generally made by fermenting warm milk with a starter bacterial culture that has lactic acid bacteria like Lactobacillus or Lactococcus. The preparation is however not the same in every home and differs both in its nutritional value and in the number and kind of lactic acid bacteria. Moreover, the lactic acid bacteria that are present in curd do not reach the intestine live to give the health benefits that probiotics do. This is true for all fermented foods and therefore despite the excellent nutrition profiles they do not classify as true probiotics. Simply put they are not the standardized product and therefore the benefits may vary with every preparation. So how are Probiotics different? The answer is simple – they are scientifically proven for their health benefits because they are bacteria that have been researched for their safety and health benefits. These bacteria are strong against the harsh conditions of the stomach and surprisingly reach the intestine live in large numbers to impart their effect. The World Health Organization (WHO) and the Food Agriculture Organization (FAO) recognize the importance of these bacteria in maintaining a healthy digestive system and better immunity for improved overall health. Studies across the globe suggest that probiotic benefits may range from better digestive health reducing the discomfort of constipation and diarrhoea, improved immunity, lower risk of respiratory infections and allergies and a lower risk of infections. While most probiotic foods are available in the form of dairy foods please be sure to note the difference. Probiotic foods are identified by their unique food label which clearly indicates the complete name of the bacteria, the number (more than 1 billion in any product) and the health benefits. Next time you buy your probiotic choose carefully, the key is to get the health benefit of the probiotic which is defined by the probiotic strain and its number. So why are you waiting? 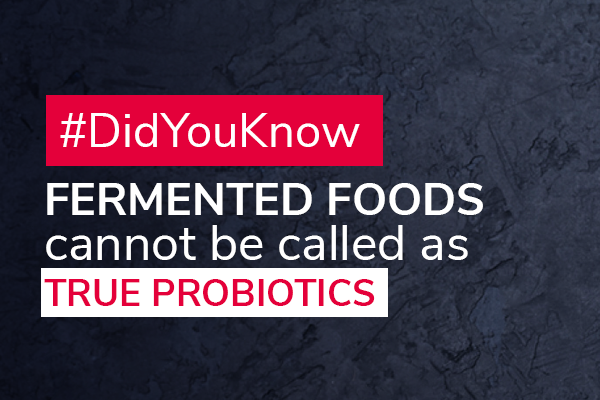 Just include a probiotic to your everyday meal and see the difference.